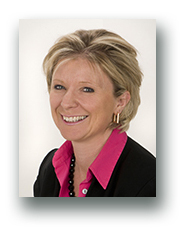 Jane is a highly respected Internal Audit, Risk Management, Corporate Governance, and Conduct Risk professional, and passionate Customer Advocate with over 20 years experience of working at Board level in FTSE and regulated organisations in Executive Director and Non Executive Director roles. A Chartered Accountant, Jane’s experience combines many years at KPMG in the Financial Services sector, latterly at Director level leading the practice responsible for Corporate Governance, Internal Control and Risk Management services in the North of England, with hands on and proven experience and achievements in Head of Audit and Risk Director Executive roles and more recently in Non Executive Director roles. Jane combines these roles with her own risk and governance consulting business and her role as a magistrate. Jane has extensive expertise in Enterprise Risk Management and governance frameworks, strategic development, internal control and internal audit, change management, conduct and culture frameworks, customer advocacy, compliance, customer remediation and redress activity as well as regulatory liaison and relationships. Jane’s approach to mentoring mirrors her natural style; empathetic, non-egotistical, fun, constructively challenging and engaged. She will understand the context and issues, exploring the perceptions and impacts created and work closely with the client to identify practical solutions and behaviours to meet agreed, target goals.